Ambassador Sahle-Work Zewde has been nominated as the new president of Ethiopia, the State's news agency reports. Zewde, a top official with the United Nations (UN) replaced Mulatu Teshome, who tendered his resignation before the parliament on Wednesday. By her appointment though ceremonial, Amb. Zewde will be first Ethiopia's female president and the second African president after Sirleaf Johnson of Liberia who served as the 24th President of Liberia from 2006 to 2018. The 68-year-old diplomat studied natural science at the University of Montpellier, France. She is fluent in Amharic, French and English. She was previously the special representative of the United Nations secretary general to the African Union. She also served at the organization’s Nairobi office with a rank of undersecretary general. 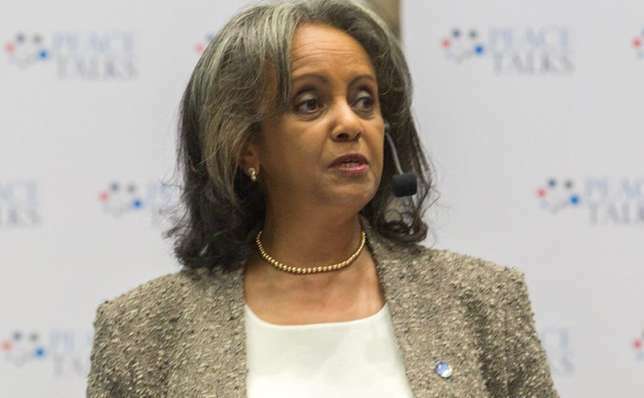 Sahile-Work Zewde began her diplomatic career as ambassador to Senegal in 1989 with responsibilities in neighbouring African countries and later went to Djibouti before eventually serving as ambassador to France. She is also a one-time Ethiopian Ambassador to France – Permanent Representative to the United Nations Educational, Scientific and Cultural Organization (UNESCO) and accredited to Tunisia and Morocco (2002-2006). In 1993 she served as Ambassador to Djibouti and Permanent Representative to the Intergovernmental Authority for Development (IGAD) till 2002. She also served as an ambassador to Senegal, with accreditation to Mali, Cape Verde, Guinea-Bissau, Gambia and Guinea (1989-1993). Her role as president is ceremonial according to the Ethiopian constitution and limited to two six-year terms in office. The president is limited to two six-year terms. Since Abiy Ahmed became the Prime Minister in April 2018, things have changed for the East Africa nation. He had released political prisoners, promote peace with Ethiopia’s main enemy, Eritrea, and with the hope of opening up the economy for potential investors. Last week, he also slashed ministerial positions and made an unprecedented move by constituting a new cabinet that is half female. Liberia: Kanye West Is In Africa!